As of this post, all art sent! Thanks for a super fun friday Drawing Request Show and hope everyones having a great weekend. Big ups to the top supporters: Request King Trayde, Request Champion Kingkoningtiger and Request Boss Th3D0rkKnightz ... your tokens are in your retainers!!! Super happy to meet all the new folks and draw for some new faces. Look forward to more next week as we ramp up the creative and the streaming. All next week I'm streaming 10am-5pm. First half will be drawing requests then the second half will be upgrades. Also sub badges are officially live! 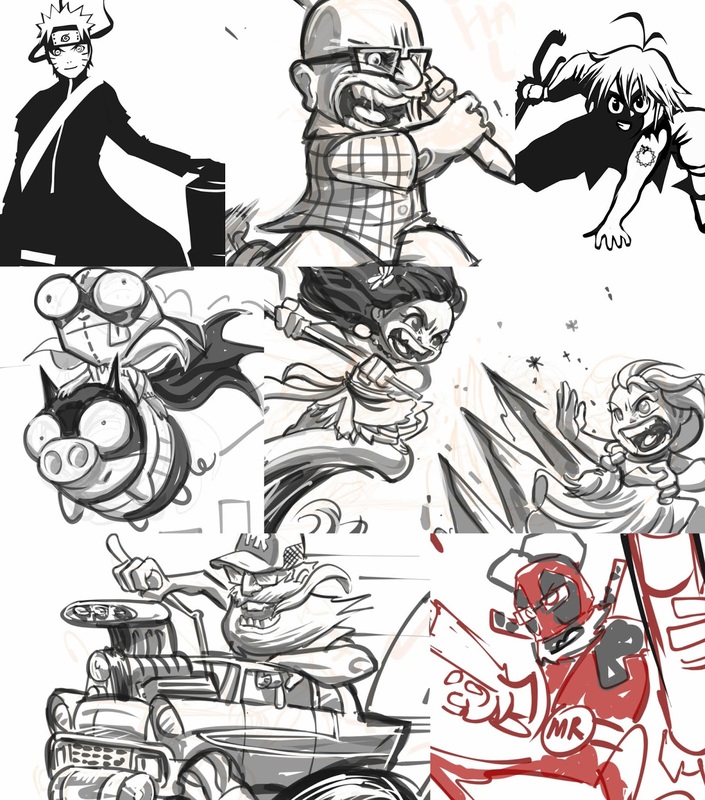 The longer you subscribe to the stream the further along the request drawing process your hat badge develops. Fun stuff! See you for more Drawing Request Show action!!! I'll bring the sauce, you bring the ctrl alt z. Same Drawing time, same drawing channel! EW is LIVE on Twitch with New Merch Monday! EW is LIVE on Twitch with Freehand Friday!!! EW is LIVE on Twitch With Wacky Wednesday!! EW is LIVE on Twitch for Funktastic Friday!